This Guy Hid A Marriage Proposal In Every Photo With His Girlfriend For SIX MONTHS! Ray Smith from the United Kingdom is a romantic kind of guy. So when he decided that he was going to proposed to his girlfriend Claire, he knew he had to do something uniquely romantic to really wow her and knock her off her feet. And he did just that! In a way that no one would have expected… Least of all Claire! 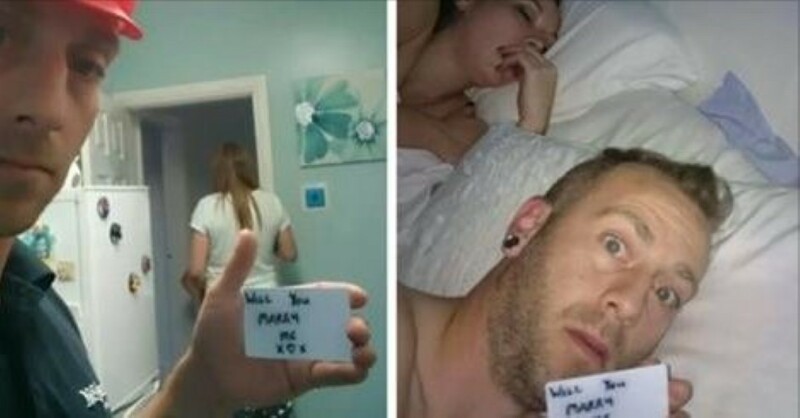 We’ve seen some cool wedding proposals here at Daily Digest, but this one might just go down as the best. Every day for 148 days, Ray posed for a selfie with his love. And in each picture he secretly held up a card that said ‘will you marry me?’ on it. Next articleMeet The Cat Who’s Learned To Take Selfies… And They’re Ridiculously Good! Confrontational ‘Fat Shaming’ Video Shocks The Internet – The Backlash? INTENSE!